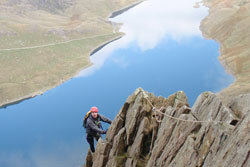 Peaks & Passes is small guiding and Instruction Company run by fully qualified alpine mountain guide Dave Kenyon offering a friendly and personalised service from Snowdonia to the Alps and the Himalayas. 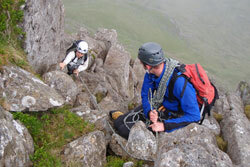 We provide a year round, full range of courses including Alpine guiding, Himalayan trekking, British winter mountaineering and all aspects of instruction in hill skills and rock climbing - often based in Snowdonia, North Wales. These are offered at all levels from complete beginner, through skill and confidence building to guiding those routes you have always wanted to do. Our strength is a flexible, bespoke service in which we aim to meet your specific needs. For further course details and prices click on one of the links below. These courses include Navigation, Scrambling, refresher courses for SPA/ML/WML/MIA/MIC both summer and winter. 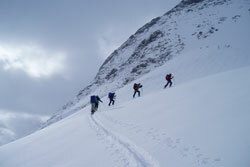 Winter Mountaineering and Alpine Preparation. Courses cater for complete beginners or indoor climbers through to intermediate (S/VS) & advanced (HVS & above) or those who want to learn to lead or would like some coaching to push their limits. We also offer big wall/aid & improvised rescue techniques. A wide variety of courses or guided ascents are available during the summer alpine season - early June through to late September. 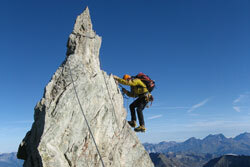 Courses cater for those with no previous experience looking for an Introduction to Alpine Mountaineering to learn basic skills and techniques to develop the confidence to go it alone or for those looking to achieve specific goals in the company of a guide for example the Matterhorn, Mt Blanc, 4,000's. We offer Ski Touring Courses in the Silvretta Alps in March, this is a great area for people who can Ski but have no previous Touring Experience. Easily accessible from Innsbruck the area offers great huts and Ski ing. 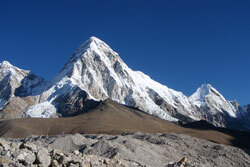 In the autumn we offer trips to Trekking Peaks and Climbing Peaks such as Island Peak, Tent Peak, Ama Dablam.